Colchicum is a large genus in the Colchicaceae family found in Europe, North Africa and western to central Asia. They are all winter growers. There are both autumn and spring flowering species. Some of the autumn ones flower before their leaves appear. There is much confusion over the correct names of plants in the literature and misnaming in the trade as well so people will be growing plants under the wrong names. Many so-called species in cultivation are clones of hybrid or of uncertain origin. Many of the species do not have flowers and leaves at the same time which makes wild collection for herbarium specimens a challenge. We attempt on this page to be as accurate as we can be, but until there is a revision which name is correct will be a matter of opinion. Colchicum photos on this page and the hybrids page taken by Arnold Trachtenberg are grown in his New Jersey garden, planted in garden soil augmented with 50% grit. 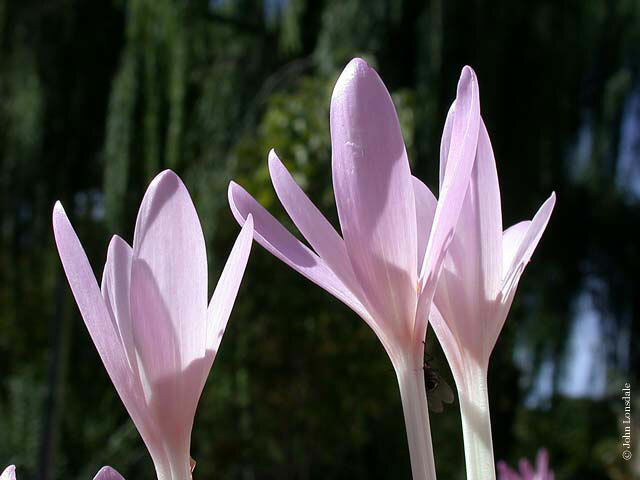 Colchicum are notoriously difficult and slow to grow from seeds because the seeds will not sprout without summer heat treatment and a cool down period during the autumn. Diana Chapman provided the following valuable tips for successful germination. Seeds should be sown fresh in a well-drained mix, covered with one of two cm of grit or course sand. Keep the mix slightly moist during the warm days of the summer. It is best to leave the seeds outdoors where they can experience the summer heat and fluctuations in temperature. In the fall, water well and allow the seeds to germinate. Some species may take two years to germinate so keep your pots for at least 2 years. Sporadic germination had been observed by gardeners after many years. Some growers have good success with soaking the seeds 1-2 days before sowing. This can be done by simply soaking in a bowl of water or placing the seeds in a stocking, tie the end and placed into a toilet bowl (water reservoir). Every flushing will wash away the inhibitors and allows the seeds to germinate. 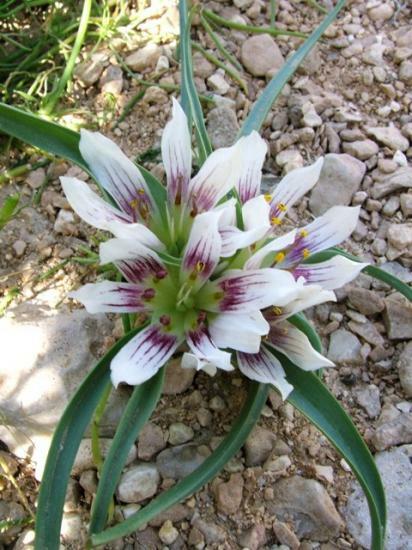 The paper "Effects of Stratification, Temperature and Light On Seed Germination of Colchicum Macrophyllum B. L. Burtt", by Anna Antonidaki-Giatromanolaki, Magdalena Dragassaki, Michael Papadimitriou, and Ioannis Vlah, Vol. 8, № 2, 2008: 105-107, Propagation of Ornamental Plants, concludes that the seeds need a warm moist period (eight weeks at 20 °C) followed by a move to cooler temperatures (10-15 °C) and darkness for germination. Most authorities say that Colchicum grow from corms - sometimes this is debated. The genus takes its name from Colchis which in ancient times was an area near the modern day Republic of Georgia. 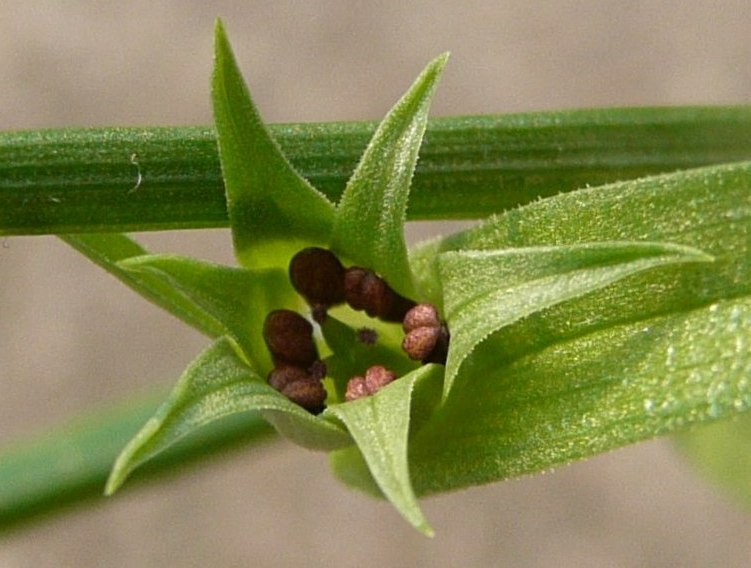 A toxic chemical 'colchicine' is contained in some species; it has been used as a treatment for gout; it is also used to produce triploid and tetraploid mutations in the seeds of some plants. Photos of the corms of various species can be found in this SRGC forum post. In the paper A phylogenetic analysis of the genus Colchicum L. (Colchicaceae) based on sequences from six plastid regions (Persson et al. 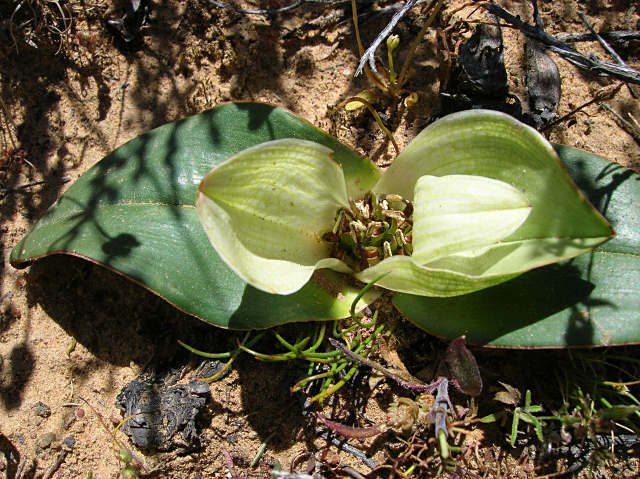 2011), the genus Merendera was discovered to be polyphyletic (meaning the species have evolved from separate ancestors). Thus, many authorities (The Plant List, Kew, et cetera) consider Merendera to be synonymous with Colchicum. In lieu of the evidence suggested by this paper, we have included Merendera in Colchicum. Taxonomic changes proposed by Manning, Forest & Vinnersten (2007) suggested that Androcymbium be included in Colchicum. 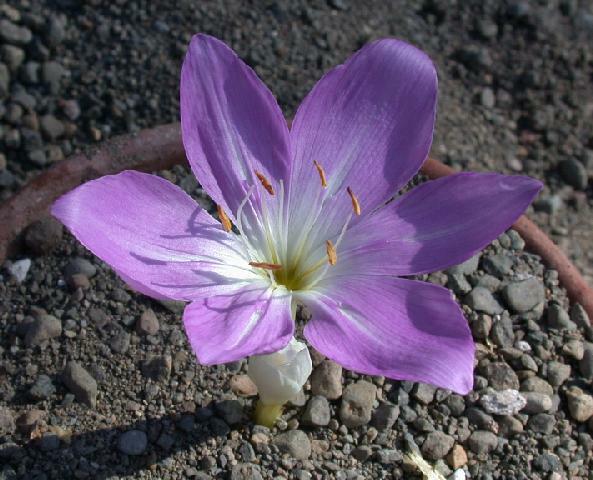 However, inclusion of Androcymbium into the already large genus Colchicum was made for "practical" reasons. The authors stated that there were no morphological characters that separated certain groups of Androcymbium found by molecular evidence. 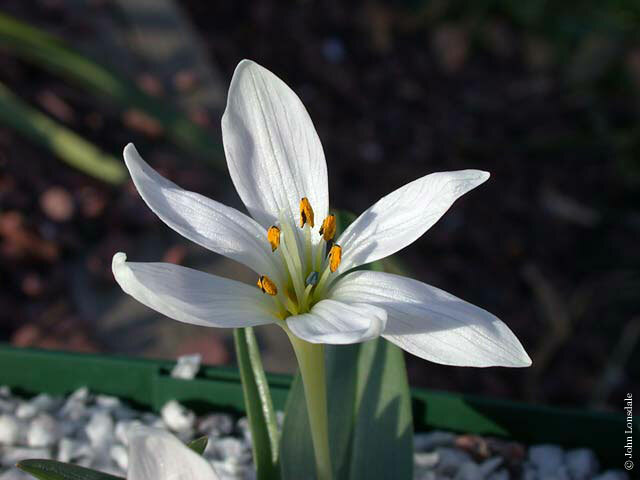 We await a full revision of the genus Androcymbium and until such a revision occurs, we will keep the genus Androcymbium separated from Colchicum based on their morphological classification. 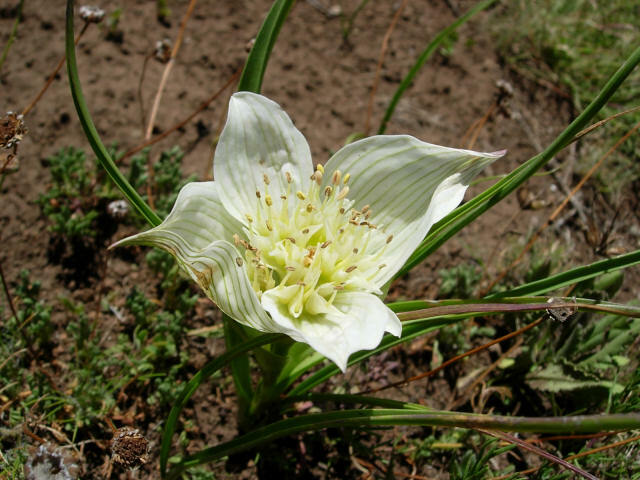 The Plant List continues to recognize Androcymbium as an accepted genus. 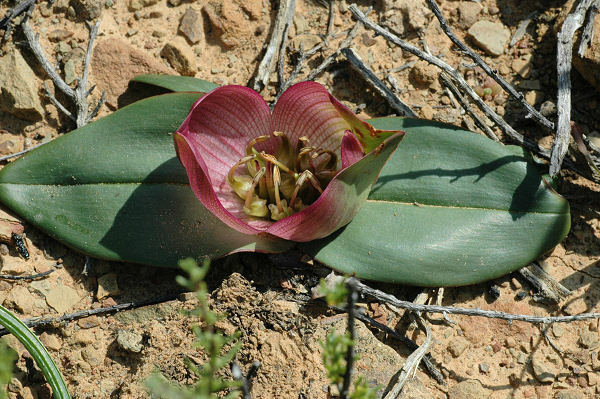 On the other hand, the South African Biodiversity Institute now lists South African species under Colchicum. We have added Androcymbium species to the table below, but information about them is found on the Androcymbium wiki page. (Unlike Merendera, the paper Persson et al. 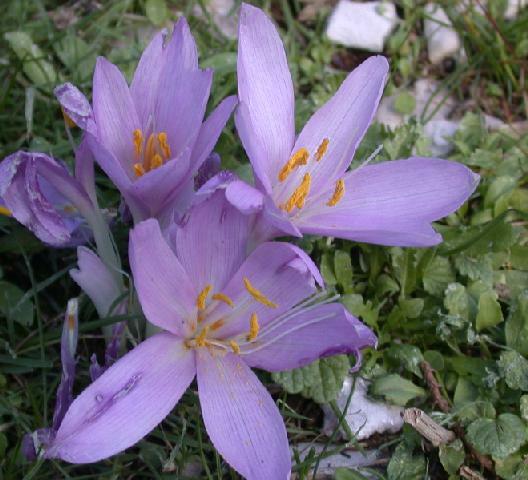 2011 does not suggest Androcymbium to be included in Colchicum.) Photos below illustrate some of those species. For comparison, the photos below show a few of the species more commonly considered to be representative of this genus. Pollination of Colchicum, and most species of Androcymbium, is carried out by bees and flies. 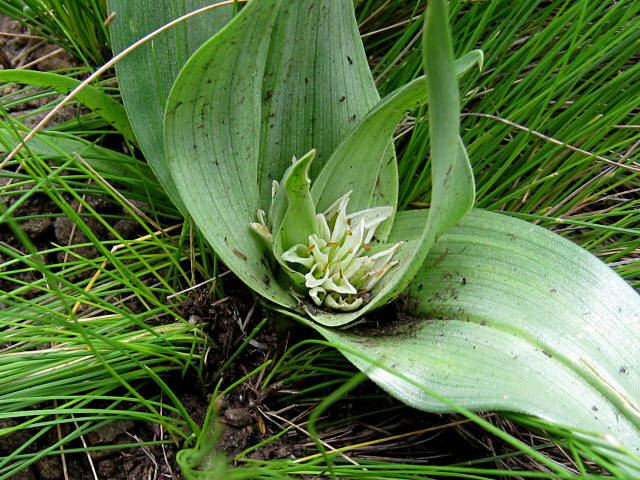 A few species of Androcymbium are pollinated by rodents. 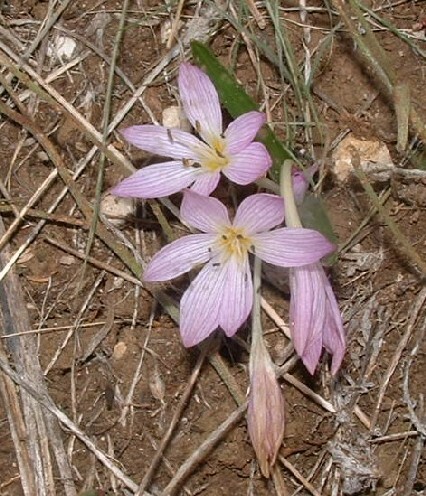 Read more about the pollinators of Colchicum in the wild and in gardens in the article Colchicum as a Pollinator Plant by Travis Owen. † Includes synonyms and links to the new genera. 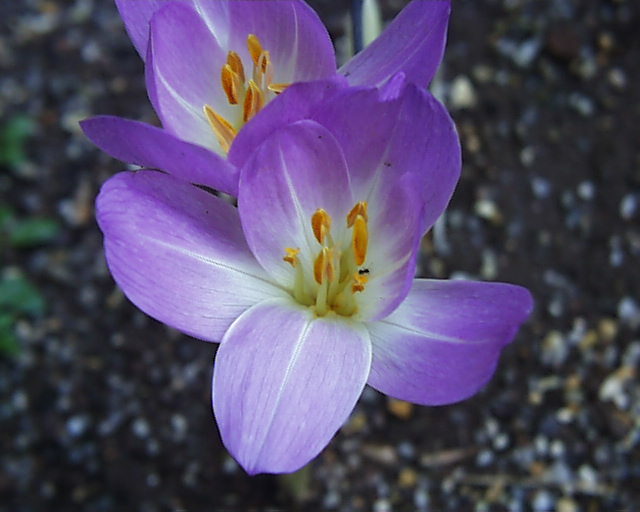 ‡ Species with this mark may or may not be considered to be Colchicum in the strictest sense by all taxonomists.